Beautiful Gift Books for Christmas – Bounce Sales & Marketing Ltd. Bounce have a great selection of gorgeous books that make beautiful gifts for Christmas. 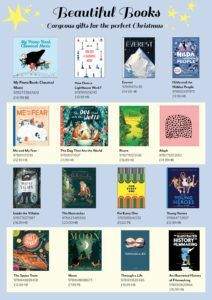 Download the flyer, browse the pretty books and stock your shelves by filling in the attached order form and contacting your local rep.